Born in 1966 in Latakia, Syria, Fadi Yazigi obtained a BFA in Sculpture from the Faculty of Fine Arts in Damascus in 1988. Since then, he has been a prolific painter and sculptor, working with extreme discipline. Yazigi has held nineteen solo exhibitions of his work in Syria, Lebanon, Jordan, Egypt and Bahrain. 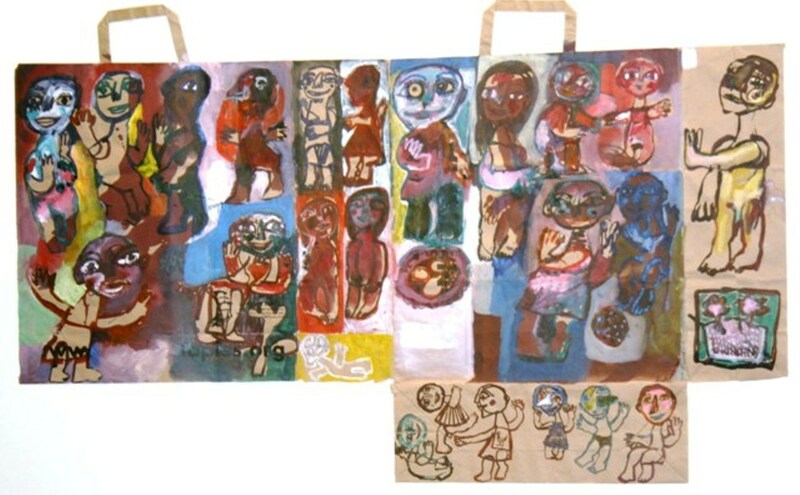 He has participated in a large number of exhibitions in the Middle East, Europe and the U.S.A, and his works have been showcased in a number of international biennials and art fairs, including Art Paris, Art Paris Abu Dhabi, Art Dubai, Art Palm Beach and the Hong Kong International Fair. He lives and works in Damascus. "Art is the culmination of uninhibited creative freedom to visually express the social and political situation of our times. It is the responsibility of an artist to faithfully reflect and convey emotions, ideas, dreams and sublimations. My works are a nostalgic chronicle of relationships; the source of my stimulation is all that surrounds me and all those who have left an indelible mark on my life. Experimenting with various techniques and media, I try to escape from monotony. Whether painting on canvas, cardboard, textiles or newspapers, using acrylics, oil or ink, I depict people and human emotions. I paint, sculpt and mould as I observe the world. Based on my knowledge, associations and feelings, my paintings, sculptures and reliefs document my understanding about the ordinary people that I encounter daily. I try to read the unasked questions on the faces of people that surround me. My paintings are about life in its innumerable shades. 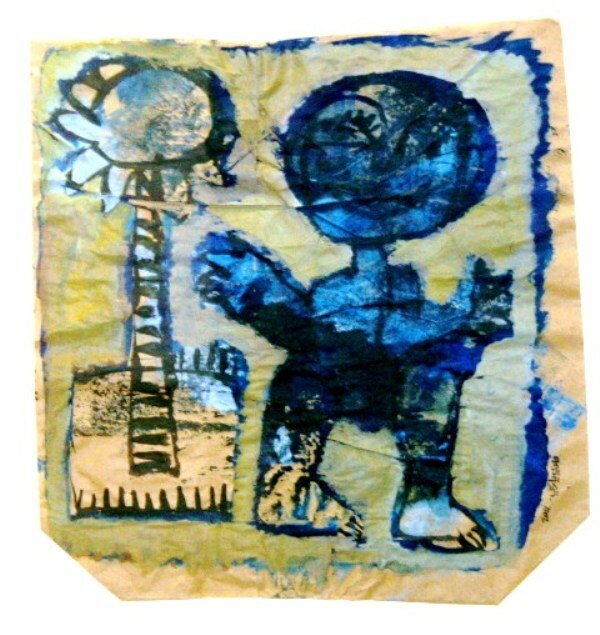 I continue to explore new materials for my work; experimenting in a very wide variety of ways and forms ... Each new material gives a particular feeling and each new image, whether on a blank canvas, cloth, paper bag, Arabic bread or sculpted clay, comes from the same inspiration and current of creativity."